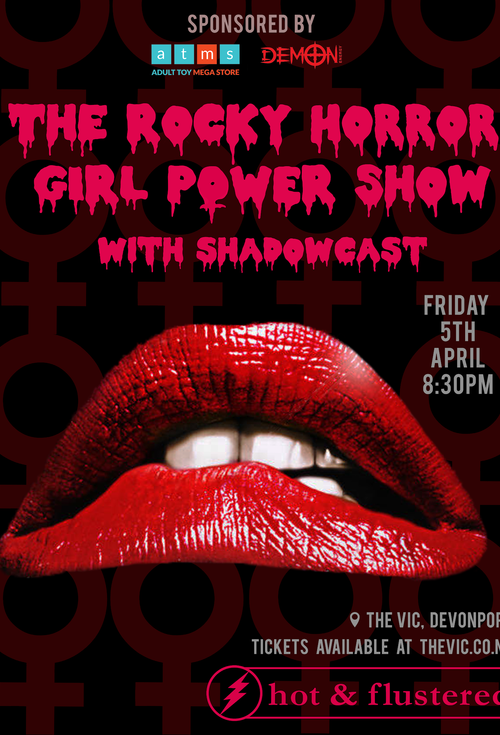 Hot & Flustered Shadowcast present The Rocky Horror Picture Show, who perform the cult classic live on stage while the movie plays behind them onscreen. The true American love story, following Brad (Barry Bostwick) and Janet (Susan Sarandon), who stumble across a transvestite scientist, Dr. Frank-N-Furter (Tim Curry). Through their elaborate dance and musical journey, they meet a houseful of wild characters, and lose their innocence. Get dressed up, to the movie or the theme, learn the dances, buy a prop kit, and enjoy the most immersive theatrical experience Auckland has to offer.